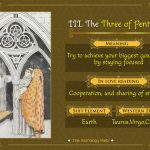 The Nine of Swords is a card that belongs to the fourth suit (Swords) of the fifty-six cards called Minor Arcana in a traditional seventy-eight tarot card deck. Used for both playing and divination, its suit element is air. It shows a woman with her hands over her face sitting on a bed as if she has just woken up from a nightmare. Her legs are covered in a quilt decorated with flowers and astrological signs in a checkerboard pattern. The bed has a carving of two figures fighting with each other. Nine swords are hanging on the wall in a horizontal direction above the bed. 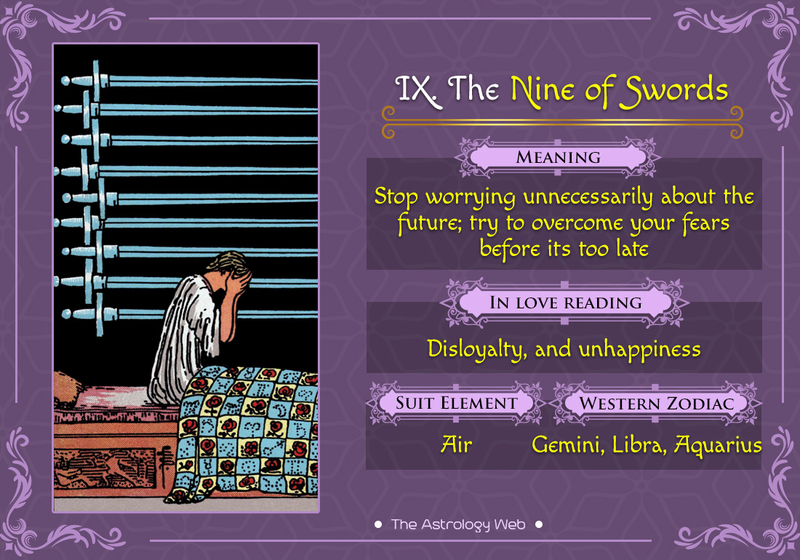 The 9 of Swords symbolizes fear and nightmares along with a constant negative feeling that could be only caused by some psychological factors. The woman represents a sudden realization of an unpleasant situation while the quilt signifies illogical thinking. The carvings on the bed are a depiction of compassion and conflict. The swords are an illustration of troubles that are yet to be resolved. It points to someone who has an individual point of view, not listening to other ideas or thoughts. Such people always try to justify their rude behavior by blaming everyone around them, proving to be a victim of emotional abuse. In your life, this person could be the one with an irresponsible and hypocritical mentality. 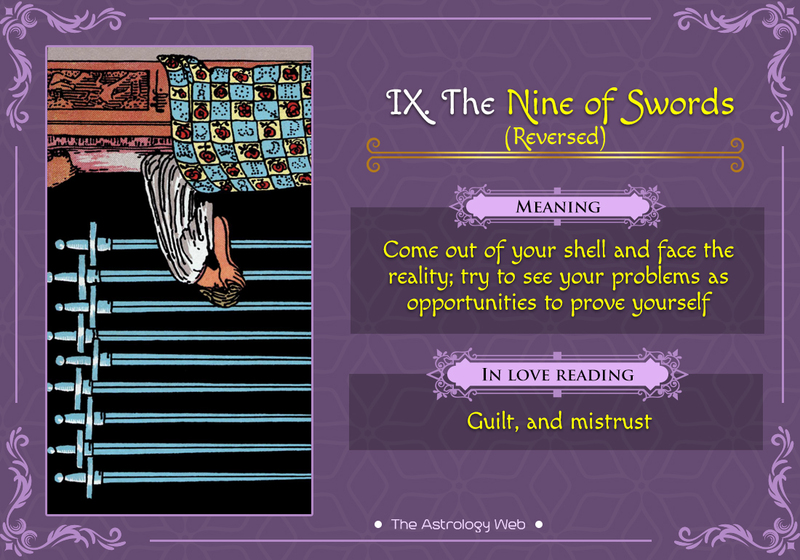 Fear, embarrassment, and guilt represent the feelings according to the 9 of Swords. Learning and accepting the reality is the only way to get rid of the mental anxiety. In fact, you might be seen as a worrier by someone else. If something is constantly irritating you, seek consultation from someone close like a friend or family member. Suffering in silence will only cause you to struggle with yourself. Interpretation: In this position, the card indicates that whatever fear and anxiety you are dealing with are inside your mind sans any external existence. It could be because of your unnecessary expectations, obstinate attitude, and fantasies that cannot be met. You may also be too worried about the future, making a judgment without thinking. 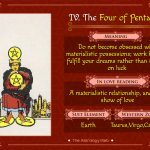 The card suggests you to stop making negative predictions about the future since it will lead to the creation of an adverse environment, lowering your confidence to do something productive. Interpretation: Those who are in a relationship might have to deal with an unfaithful partner. It would be advisable to call it off rather than suffering in silence. If you are single, don’t keep thinking about your past relationships and start seeking a suitable partner. Career and Work: No workplace is devoid of challenges, pressure, and tensions. So, if you continue worrying about the negative factors, making progress at work would be nearly impossible. In such cases, either accept the situation or consider shifting to a better place. Finance and Business: Your tendency to lend money should be curbed as trusting someone blindly can cause you a huge loss. If someone has duped you, don’t hesitate to take serious legal action. Health: Any minute health issue should not be overlooked. According to the card, consult a doctor if you are not feeling like your usual self. Interpretation: In the upside-down position, the card indicates that you are unnecessarily taking stress about a particular situation, putting your physical and emotional well-being into a risk. Without analyzing the reality, you are simply letting go of the opportunities hiding behind these problems. Right now you need to relax instead of worrying as the worst has already been faced. You are more likely to come back after going through the lowest phase of your life as per the suggestion of the card. Interpretation: If you have been cheating on your partner, it will be exposed soon, causing a downfall of the relationship. It would be advisable to mend your ways before it’s too late. Career and Work: As you have been through a lot of stress and tensions at work, it has either got better or worse of you. However, by finding a way to release your negative energy, you have realized that the situation is not as bad as you thought. Finance and Business: If you have already faced a financial loss, there might be a drastic improvement soon. It would be better to take some advice from friends or professionals instead of subjecting yourself to mental stress. Health: You may be able to come out after your depressive phase, coping with the challenges hurled at you. Regular meditation and light exercises may help you to manage the situation. 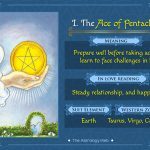 Past: You might have experienced some unpleasant incidents in the past, causing extreme mental agony. As a result, you fear trying something new a lot, assuming meeting the same consequences. 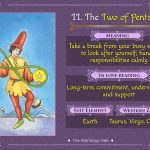 Present: The appearance of the 9 of Swords in this position is a sign of caution, meaning that you will be subjected to a huge pressure. However, if you are mentally prepared to face it, the impact will be less. Future: You cannot hope for a happy future unless the worries and tensions go away from your head. Identify the important aspects of your life and move on.